The Dump Kline Blog says that Congressman Kline(MN R) is supporting Rep. John Boehner (Ohio) for GOP majority leader. Kline, Kennedy and Boehner held meetings together in Minnesota that I attended a year or two ago - to 'explain' how successful the 'leave no child behind' program would be when fully funded. None of them knew when or how that funding would happen...now several years later Minnesota schools are still waiting to get funding for this failing federal mandate dubbed by most as "leave no child a dime". I remember thinking at the time of the meeting that all three seemed to have the kind of 'tan' only those with lots of free time can afford...you know, by spending lots of time on golf courses. Seems like I wasn't too off base in my observation. Boehner's ethical past includes: his proclivity to attend fundraisers on golf courses in between forays along the K Street Corridor, as well as his tendency to speak on cell phones...John Boehner used his cellular phone in 1996 to participate in a conference call with Gingrich and other key Republicans regarding Gingrich's response to his ethics violations. Ultimately it lead to Boehner being disgraced and Delay raising in political power. Gingrich went on to resign. 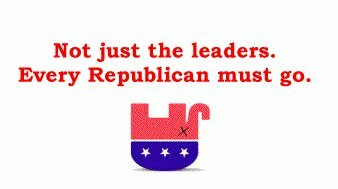 The voting for the GOP leadership will be February 2. It is done in secret and details of the outcome are never revealed, so members are free to vote for their favorite candidate — even if they had promised their vote to someone else. Boehner and Kline...hmmm...As my mom would say, you're only as good as the company you keep. Children and Taxes - They Get It! Back in April of 2003, the Star Tribune's Mindworks focused on Taxes. The adults who advocate balancing the budget by cutting education funding are doing so from a myopic world view, they wrote. Shortchanging schools, many said, means shortchanging the future by creating mediocre leaders and adults who are ill prepared for life. Overview of the Mindwork essays. Most of the children who wrote essays totally understood where tax money should go. They are wise beyond their years. The great hope is that adults would be able to see what is so apparent to our children. In 2005 we had a great opportunity to bring educational funding up to speed by passing a 5% increase in funding for the next two years. A 5% increase would have brought our schools up to where they should be - basic funding levels. The DFL had proposed this 5% increase. The Republicans in the House and Senate only wanted to do 3.5% each year (3% short of basic funding levels). Both parties settled after a government shut down, due to a Governor's pledge to a special interest group - which he ended up breaking, to increase funding 4% each year for two years. Though 4% is better than the Republican's proposed 3%, our schools will continue to struggle - because of one man's pledge. Remember the children, when you vote this year - they deserve it! -Abramoff’s clients gave well over twice as much to Republicans than Democrats, while tribes not affiliated with Abramoff gave well over twice as much to Democrats than the GOP -- exactly the reverse pattern. “It’s very hard to see the donations of Abramoff’s clients as a bipartisan greasing of the wheels,” Morris, the firm’s founder and a former investigations editor at the Los Angeles Times, told The Prospect. Maybe I'm naive but GOP spin is the same as an outright lie. Not one Democrat took money from Abramoff. NOT ONE! Yet they would have you believe 'everyboday does it' as a defense for criminal activity. Most moms taught thier children that excuse wouldn't work! Where did these people come from with their lack of ethics? And more importantly...Which party represents your values? Not So Fast! The DFL is better than that! I respect Patty Wetterling and Amy Klobuchar - I honestly do, but now is not the time to act like Republicans. We do not need to "clear the field" before our voices are heard and before we hear from all candidates. We are not Republicans. I will support the endorsed candidate. But I will not work for the candidate, if I feel the candidate is not open to debating other candidates running for endorsement or if I feel the candidate feels that it's a good idea to "clear the field". I just cannot, in good conscious, do it. If you agree, post a reply to this message - in doing so we'll send a message to all who think we should act like Republicans and "clear the field". January 27 in Minnesota...50 degrees! Judge Sam Alito...done deal! They win again...damm spineless democrats!I spy an American... Our current elective dictatorship, governed by a secretive, possibly benign, awesomely powerful King George...futile or feudal? Bu$hco is still searching for google's search records...oh dear me...good thing they yahoo! And the National Award in Fiction goes to: Bu$h's upcoming 'State of the Union' address...just how far can reality be exploided before it's a fictional work of art? U.S. economy grew at only a 1.1 percent annual rate in the fourth quarter, the slowest pace in three years. There are no coincidences in the universe. Not only did President Bu$h defend the pictures of him and Jack Abramoff yesterday, he reaffirmed that the White House will not release them to the public (but I will!). Must be some dog ugly pics! "One: American jobs that will stay in America, using energy independence to generate those jobs. Two: a strong national defense based on telling the truth to our citizens, our soldiers and our allies. Three: Honesty and integrity to be restored to government. Four: A health care system that works for everybody just like they have in 36 other countries. Five: a strong public education system so we can have optimism and opportunity back in America." Yes...may I have more please. How perceptive - he outsourced that too! Bu$h said this in regards to the Palestinian's election results. HOW CAN OUR PRESIDENT BE SO PERCEPTIVE WHEN IT COMES TO PEOPLE IN ANOTHER PART OF THE WORLD AND AT THE SAME TIME BE SO OBLIVIOUS TO THE PEOPLE WHO HE SERVES? George W. Bu$h listen to me when I say: "The people are demanding honest government. The people want services. They want to be able to raise their children in an environment in which they can get a decent education and they can find health care." I AM NOT TALKING ABOUT THE PALESTINIANS - I'M TALKING ABOUT AMERICANS!!! We demand an honest government! We demand services! We demand an environment in which our children can get a decent education! We demand health care for every American!!! We have been lied to over and over. As handouts are being given to Corporate America - YOU AND YOUR FRIENDS cut services and programs that the neediest Americans depend on. HOW MORAL IS THAT? We have had enough of the culture of corruption and fear that you, your party and your friends have created. "Obviously, people were not happy with the status quo," Bush said. You are absolutely right!!! AMERICANS are not happy with the "status quo" of corruption and fear. You preach from on top of a moral soap box, yet your moral soap has been washed away by the filth and dirt of corruption and fear. We must restore the oversight that is so desperately needed - and we can do it, this year, on election day. Our work will not be done until then! The day after the election of 2006 - Bu$h will say once again: "It's a wake-up call to the leadership." But this time he'll be talking about the United States of America!!! Bu$h "A Pickin' His Time"
"As I indicated, clearly, the al Qaeda leaders and the terrorists are on the run. They're under a lot of pressure. We do not negotiate with terrorists. We put them out of business. The terrorists started this war, and the President made it clear that we will end it at a time and place of our choosing." Well that certainly puts us in our place...Bu$h is just waiting to pick the 'time and place'!@#WTF! So enough already...pick! I voted to get bin Laden right after 911 but apparently Bu$h has other things on his mind. But could Bu$h 'choose' to get him now? Hasn't it been long enough? G*d almighty it's been long enough. The resignation of Rep. Tom DeLay (R-Tex.) as majority leader has opened a GOP Pandora's box. On February 2, the GOP will vote for a replacement to Delay. Currently there are three GOPers in the running: Representatives Roy Blunt (Mo. ), John Boehner (Ohio), and John Shadegg (Ariz.). Candidate #1: Roy Blunt contents that he has a lock on the 116 votes needed to win. But GOP congressmen are notorious liars and Blunt is a professional at it. Plus we're talking politics here! Blunt represents more of the same and that can't be good for the republicans especially leading up into elections. A Blunt vote is voting for the same corrupted system of lobbying scandals associated with the K Street project. Blunt also was among the party leaders last year who privately spanked Republican Study Committee (RSC) Chairman Mike Pence (R-Ind.) for his campaign against earmarks. Simply stated, Roy Blunt is a Delay clone. Candidate #2: John Boehner would rule from the same power base as Delay and Blunt. He's a K Street operator who applies a heavy hand on lobbyists for contributions. 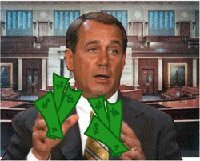 Boehner has been reprimanded in the past for passing out campaign checks while on the House floor! Boehner is probably no less conservative than Blunt,and certainly not a reformer. The difference between Blunt's allies and Boehner's is not ideological: the difference is which House members each one has been raising money for. In other words like Blunt, Boehner would see more of the same corruption only with new faces. Candidate #3: John Shadegg represents both reform and ideological rigor. A conservative former RSC chairman, he wants to prevent future Duke Cunningham scandals by cracking down on earmarks and he wants to abolish government pensions for any future corrupt congressmen. That's exactly why he won't be the new GOP majority leader. While Shadegg might find support among conservatives for his ideology and moderates for his reform, ultimately the GOP would have to relent and shed both K Street and earmarks...which won't happen. Republicans in the House still want to fall back on their assured fundraising to keep power. There is also talk of others...making a late entry or 'drafts' but it's hard to mount a winning campaign late into this race. 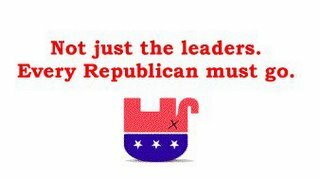 Whomever is the new GOP leader, one thing is for sure, this vote will tell America if the GOP is committed to eliminating their culture of corruption or if it will be more of the same. By now you've heard again and again about Pat Robertson's hateful and divisive rhetoric -- calling for the assassination of foreign leaders, asserting that Prime Minister Sharon's stroke occurred because he was "dividing God's land," and so on. But would you believe that the federal government continues to fund Robertson's "Operation Blessing ?" According to a recent press report, under George W. Bush's faith-based initiative, "the group's annual revenue from government grants has ballooned from $108,000 to $14.4 million." So whattaya waiting for...lightning to strike...go sign! Between 100 and 300 people are killed each year in the United States from lightning and another 1,500 are injured. It is estimated that at any given time, 2,000 thunderstorms are occurring on earth and that lightning strikes the ground about 100 times per second. According to National Weather Service statistics, the average number of lightning fatalities in the U.S. for the last 10 years was 70. The number of fatalities has been steadily dropping. The average in the 1940s was over 300 per year. Last year there were only 41 lightning fatalities. However a recent study found that lightning deaths may be underreported by as much as 30 %. About 20% of people who are struck by lightning are killed - most survive! The chances of anyone being struck by lightning is 1 in 600,000. But once hit by lightening, your chances of being hit a second time go up by 50%. The civil war is looming...casting it's dark shadow across the deserts making palms much more pleasing than the truth. So what's left is an increasingly Iran-leaning, Shiite fundamentalist theocracy with a rump Kurdish republic attached to it. And you can put this in your signs-of-things-to-come file: Muqtada Sadr, the cherubic (and Rubenesque) militant young cleric, said on Sunday that the Mahdi Army, which is now a big part of the Iraqi government to be, says that his forces will fight alongside Iran's if Iran is attacked by the United States over its nuclear program. So it's curtains for Bush's "victory or defeat" policy. The insurgency will strengthen, so that won't help. The Shiites are likely to move in an increasingly radical (and pro-Iranian direction), so that won't help. The violence will get worse. St. Paul Minnesota: Still Ford Tough? The Ford Plant is Minnesota is still alive but on life support. "Have you driven a Ford lately?" Tim Pawlenty (MN-R) is traveling Minnesota these days campaigning for re-election while touting his immigration proposal. And truth be told... it's time for Minnesotans to have a honest discussion about immigration and it's impact (good and bad) on our state. Unfortunately that's not the intention. Pawlenty is using immigration as a wedge issue like fear factor uses things that go bump in the night...in large numbers with the the intent to instill dread and fear. He focuses on crime to the exclusion of effect and resolve. A recent Washington Post-ABC News poll found that 80 percent of Americans believe government isn't doing enough to stem illegal immigration. The poll also found that a majority, 56 percent, believe that illegal immigrants have done more to hurt the country than to help it. Wanting to be re-elected but knowing his dismal record won't help him, Pawlenty , in typically Rove fashion, has taken a valid issue and turned it into a frankenstien with a Spanish surname. 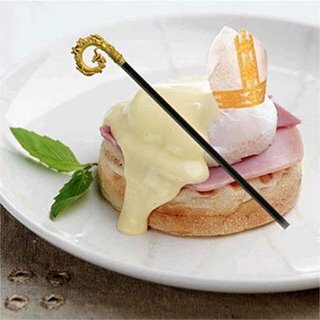 As predicted, the mindless town mob has responded with pitchforks and torches. After all, we can't have Gonzalestien roaming our great state threatening our women, homes, valuables, schools, independence, freedom, kitten, hummers....well... We've all seen the movie. Instead of calling for common sense policies promoting dignity, diversity and community, Pawlenty invokes fear and divisiveness. Instead of debating the issue, Tim is slamming and decrying crime but not causes. Still I guess that shouldn't surprise me, Tim's never been good at managing or resolving issues. When Pawlenty first laid out his immigration proposal, he said it was time for a reasoned debate about where the nation and Minnesota stands in respect to illegal immigration. For some strange reason I thought that would include policies that addressed the issue while promoting the Minnesota quality of community. Supersize Soldiers: Too Fat to Fit? A lean, mean force, or not! Besides terrorists, germ warfare and nuclear weapons, military officials are increasingly worry about a different kind of threat... troops too fat to fight. Weight issues plague all branches of the military, from elite Marines to the Air Force, often lampooned as the “chair force” because of its many sedentary jobs. It is one of the biggest worries facing the Army and other armed services recruiters. It's not easy these days finding enough recruits, and an even bigger worry is finding enough recruits who can fit in their uniforms. Nearly 2 out of 10 men and 4 out of 10 women of recruiting age weigh too much to be eligible, a record number for that age group. Today's soldiers are supersized, averaging 37 pounds heavier than their Civil War counterparts. Military officials say that's not all bad, because most of it is muscle, not fat, and the result of better nutrition. "Large and in charge" makes soldiers look more formidable to the enemy, they note. 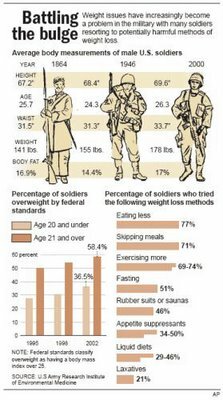 Still thousands of troops are struggling to lose weight, and thousands have been booted out of the service in recent years due to not meeting the acceptable weight guildlines, (3000 in 2003). "This is quickly becoming a national security issue for us. The pool of recruits is becoming smaller," said Col. Gaston Bathalon, an Army nutrition expert. Unless weight rules are relaxed, "we're going to have a harder time fielding an Army," he said. Weight problems add stress to already stressful jobs, costing many soldiers promotions and leading some to try desperate measures like rubber suits and risky pills to shed pounds. Problems don't end when active duty does, either. The Veterans Affairs health system increasingly is strained by vets piling on pounds and developing weight-related diseases like diabetes. The diabetes rate among the services is nearly doubled that of the civilian population. Why the weight increase? At this point most scientists agree that the problem is environmental: Americans are eating more and exercising less. We're working longer hours, immobilized at desk jobs. When we do have a break to eat, we're so strung out – and often so poor – that picking up some fast food is the easiest way to go. Wetterling - A Class Act! Thanks Patty, you truly are looking out for all of us. Democrats will win this election because our candidates are willing to put the interest of their friends, family, community and state before any personal gain. El Papa Sezs No ID! VATICAN CITY - The Vatican newspaper has published an article saying “intelligent design” is not science and that teaching it alongside evolutionary theory in school classrooms only creates confusion. Elder inmate Clarence Allen needed 2 injections ,a second shot of potassium chloride to stop his heart from beating. Having suffered a heart attack back in September, Allen had asked prison authorities to let him die if he went into cardiac arrest before his execution, a request prison officials said they would not honor. "At no point are we not going to value the sanctity of life," said prison spokesman Vernell Crittendon. "We would resuscitate him," then execute him. At the very least shouldn't Bu$h give an update on what's being done to find him? Or is it not worth the $ucks (unlike Iraq who didn't mastermind or play a role in the 911 attack!) CIA confirms voice on tape is Bin Laden. How Bin Laden got away. The Tony Rudy Reform: Close the Revolving Door. Close the revolving door between the Congress and lobbying firms by doubling (from one year to two) the cooling-off period during which lawmakers, senior Congressional staff, and Executive Branch officials are prohibited from lobbying their former offices. Eliminate floor privileges for former Members of Congress and officers of the Senate and House who return to lobby. The Ralph Reed Reform: Toughen Public Disclosure of Lobbyist Activity. Significantly expand the information lobbyists must disclose - including campaign contributions and client fees. Require them to file disclosure reports electronically, and increase the frequency of those filings. Require lobbyists to certify that they did not violate the rules, and make them subject to criminal penalties for false certifications. The Jack Abramoff Reform: Ban Lobbyist Gifts and Travel. Prohibit the receipt of gifts, including gifts of meals, entertainment and travel, from lobbyists. The Grover Norquist Reform: Shut Down Pay-to-Play Schemes Like the “K Street Project.” End efforts like the “K Street Project,” which Republicans created to tell corporations and lobbying firms whom they should hire in exchange for political access. The Scully & Tauzin Reform: Disclosure of Outside Job Negotiations. Requires lawmakers to disclose when they are negotiating private sector jobs, and requires Executive Branch officials who are negotiating private sector jobs to receive approval from the independent Office of Government Ethics. The Frist & Hastert Reform: Prohibit “Dead of Night” Special Interest Provisions. Require that all conference committee meetings be open to the public and that members of the conference committee have a public opportunity to vote on all amendments. Make copies of conference reports available to Members, and post them publicly on the Internet, 24 hours before consideration (unless waived by a supermajority vote). The Halliburton Reform: Zero Tolerance for Contract Cheaters. Restore accountability and openness in federal contracting by subjecting major contract actions to public disclosure and aggressive competition; criminally prosecuting contractors who cheat taxpayers, with penalties including suspension and debarment; imposing stiff criminal and civil penalties for wartime fraud on government contracting; prohibiting contractors with conflicts of interest from conducting oversight or writing contract requirements they could bid on; mandating full disclosure of contract overcharges; creating tough penalties for improper no-bid contracts; and closing the revolving door between federal contract officials and private contractors. The Brownie Reform: Prohibit Cronyism in Key Appointments. End rampant cronyism by requiring that any individual appointed to a position involving public safety possess proven credentials, and training or expertise in one or more areas relevant to the position. Time To Circle The Wagons? The Bu$h Administration is under attack...Look for more to unravel from now through February. This won't go away, won't be acceptable, won't be managed and can't ignored. All the lipstick in the world won't make this pig more kissable...and if they revert to the old ways...Look for the terror alert to be raised...afterall... there's no legitimate way to defend their repeated pattern of intentionally breaking the law. Anybody Seen My Old Friend Martin? I see Martin almost every day in the numerous Minnesotans that donate their time and services to make our community better. Martin is still here, all around us. Dr. Martin Luther King Jr. Day is an opportunity to teach our children to fight evil, not people, to get in the habit of asking themselves, 'what is the most loving way I can resolve this conflict?' 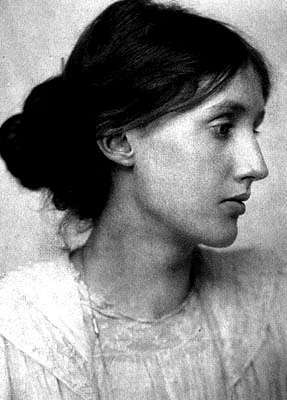 and to demostrate timeless values like courage. truth, justice, compassion, dignity, humility and service. It provides us with the chance to show the single most important thing about Dr. Martin Luther King Jr.: 'His example of nonviolent action is the single most powerful, revolutionary force for social change in the world today'. King's values of nonviolence, including unconditional love, tolerance, forgiveness and reconciliation are so desperately needed today to help unify our country. These are the values that should radiately define all Americans and especially our children. It's up to us as activists to ignite the spark of volunteerism in Minnesota's communities. Let's start by leading with example like King did and volunteer along with our family and friends within our local neighborhood. This is the way to honor the life and teachings of Dr. King. The best way to honor MLK is to volunteer. 56% of adults aged 18 or over volunteer. More women (62%) volunteer than men. Men give more time (20 minutes more per week) than women. 90% will volunteer when asked. Most volunteers find out about volunteer opportunities by personal contact with another volunteer. 41% of all volunteers are sporadic and consider it a onetime activity. "The irresponsible Republicans have run the economy into a deficit ditch, abandoned millions of our jobs to other countries, wallowed in a culture of corruption financed by the likes of Jack Abramoff, eavesdropped on American citizens without warrants and led us into a quagmire of death in Iraq. The most responsible thing Democrats like me can do is take back the House and Senate in 2006 by speaking the truth all the way"
It's arrogant beyond belief that the GOP administration can bankrupt American of it's values both morally and fiscally and yet continue to brag about it 'not being as bad as we expected'. Boasting about failing accomplishments and 'spinning' that failure is just plain wrong. The Bu$h administration saying they 'performed better than expected' means little of nothing. The reality is: Did they performed up to established standards? And the answer gives them failing grades...as there's no spinning a $400 Billion deficit. ! It's not 'almost an obsession' and it's not a joke, it's a serious flaw in the GOP administration that they refuse to acknowledge not making the grade while pretending to have aced the test. Unfortunately, all of America will be held behind for decades to come because of their irresponsible actions. Wow- wonderful- I couldn't agree more. A person who is willing to speak truth to power is a rare thing, a woman who was intimately involved in the defense of our nation who is willing to potently criticize this administration is rarer still, but this is the gift we have been given in Coleen Rowley an FBI agent, a time woman of the year, someone with a different perspective who in the Hackett mold will be able to talk about counter-terrorism having been on the front lines unlike the sidelines. The district skews slightly Republican but as an Ex-Republican and a woman she will be able to gather the needed cross-over votes if we can give her the early support. Every person named in this scandal is a Republican. Every person under investigation is a Republican. Every person indicted is a Republican. This is a Republican finance scandal. Republican scandal. Republican disgrace. Republican crimes. Dear Chairman Dean, Thank You! Oh, baby. Stop what you're doing and watch this video clip (via Atrios). Howard Dean leaves Wolf Blitzer sputtering. I'll be back later with a transcript. UPDATE: Ok, here's my transcript, but watch the video if you can to get the full effect. BLITZER: Should Democrats who took money from Jack Abramoff, who's now pleaded guilty to bribery charges among other charges, a Republican lobbyist in Washington — should the Democrats who took money from him give that money to charity or give it back? DEAN: There are no Democrats who took money from Jack Abramoff. Not one. Not one single Democrat. Every person named in this scandal is a Republican, every person under investigation is a Republican, every person indicted is a Republican. This is a Republican finance scandal. There is no evidence that Jack Abramoff ever gave any Democrat any money, and we've looked through all those FEC reports to make sure that's true. BLITZER: [Stammering] But through various Abramoff-related organizations, and outfits, a bunch of Democrats did take money that presumably originated with Jack Abramoff. BLITZER: What about Senator, what about, what about, what about Senator Byron Dorgan? DEAN: Senator Byron Dorgan and some others took money from Indian tribes. They're not agents of Jack Abramoff. There's no evidence that I've seen that Jack Abramoff directed any contributions to Democrats. I know the Republican National Committee would like to get the Democrats involved in this. They're scared. They should be scared. They haven't told the truth, and they have misled the American people, and now it appears they're stealing from Indian tribes. The Democrats are not involved in this. BLITZER: [Long pause, apparently getting direction in his earpiece] [Sigh] Unfortunately, we, uh, Mr. Chairman, we've got to leave it right there. I got mailing from Congressman John Kline (MN-R) about supporting parents and protecting children. It was a four page glossy piece of fluffy non recycleable crap that had some very cute kids on it but didn't address some of the real issues facing our country. It was flaunting in it's self promotion and propaganda...all paid for by...Taxpayers! Jack Abramoff, the disgraced long-time Washington insider who pleaded guilty to corruption, has been referred to by Congressman Tom DeLay, who has himself been indicted, as one of his "closest and dearest friends." Tom DeLay has troubles of his own, as Abramoff stated in a Newsweek article, April 18 issue, regarding the financing of overseas trips by Abramoff, a violation of ethics rules, 'DeLay knew everything. He knew all the details." Meanwhile, Congressman Kline, MN-02, has been silent on the blatant corruption in Congress. Why? One answer could be John Kline has taken $30,000 from Tom DeLay's ARMPAC, and has voted with Tom DeLay 96% of the time between Jan. 1, 2004 and March 31, 2005. 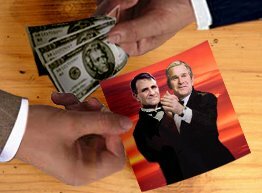 Following the guilty pleas by Abramoff to fraud charges, there has been a rush by politicians to return money given them by him. 'John Kline should return the $30,000 he was given by Tom DeLay," said Coleen Rowley, candidate for congress, MN-02. This money is tainted, and John Kline will be beholden to Tom DeLay and covering up DeLay's misdeeds as long as it is in his bank account." 'Our elected officials are a reflection of who we are as citizens," Rowley continued. 'We deserve a congressperson who does the right thing and votes to protect the interests of the second district, not someone who votes to cover-up the misdeeds of corrupt congressional members," Rowley said. 2. Hinduism & Buddhism. The total effect of a person's actions and conduct during the successive phases of the person's existence, regarded as determining the person's destiny. ...the day Jack lands in jail, look me up, we'll toast to the fat laughing buddha and his sister karma. I'm buying . It's a fight between Minnesota blogzillas. Two local MN bloggers with apparently oversized political egos in a legal mud match. Our blog previously posted on this here and here. The libel lawsuit that Blois Olson has brought against the Minnesota Democrats Exposed blogger, Michael Brodkorb, is one of those legal actions in which you wish they could both lose. So there you have it... a Democratic operative who beats up Democratic candidates suing a Republican operative who will say anything, do anything, and dig up anything that can hurt Democratic candidates. A legal match made in heaven ... or hell, depending on your perspective. Bu$h made series of recess appointments Wednesday evening including a slew of cronies and hacks the president couldn't manage to get through a senate controlled by his own party! Here's the list posted at the White House. Some of the nominees that Bu$h bypassed the Senate to install is former Navy Secretary Gordon R. England as deputy secretary of defense and Julie L. Myers as assistant secretary of homeland security for immigration and customs enforcement. 17 appointments in all. Many members of his own party have voiced their concerns over the complete lack of qualifications for some of these appointees. (Can you say Brown?!) As far as I can tell the only real qualifications that Bu$h demands for any position within our government is blind unquestioning loyalty to him and a hefty donation to the cause. Minnesota's Governor Pawlenty has a plan to help crack down on illegal immigration in Minnesota. The Pawlenty foolish plan is about as real as one of the plots from the Roadrunner-Wiley Coyote cartoon! 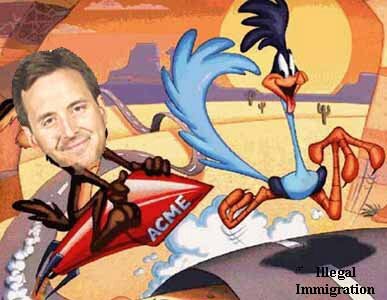 Pawlenty’s the plotting Wiley Coyote who unveils his double secret ACME gear to catch the illegal immigrant Roadrunner and then…oh heck…we all know how the story ends…beep, beep. Did I mention that Minnesotans will be picking up the cost for the ACME illegal immigrant catcher missile? Tax, Fee or Beep Beep. Play along is it a New Tax, Fee or Beep, Beep? Just how costly is it to built and maintain prisons? How much resources does our legal system take away from other areas like education? What kind of message are we sending in regards to tolerances and acceptance? Governor Pawlenty just doesn't get it. He's self destructing by wanting to bat around wedge issues like immigration instead of addressing real problems facing our community and state on a daily bases like health care, jobs, and the rising costs education. It's like wanting to fund the stadium with public monies when you don't fully fund education and cut health care. ST. PAUL (1/3/06) – "While immigration is an issue worthy of discussion, the governor should be expending as much vigor on the issues that are most important to Minnesotans. "Last month, St. Cloud State University released a survey ranking the top 28 issues most important to Minnesotans. Immigration didn't even figure in the survey. The issues most important to Minnesotans are the issues that Democrats will be talking about: education, health care, jobs, transportation, energy and the environment. "Evidently the governor and the White House are planning on using wedge issues again. Last cycle, it was gay marriage. This year, it's immigration. You can campaign on these issues, but you can't govern on them." Following Jack Abramoff's plea bargain, MSNBC's Hardball has moved Coleen Rowley to Wednesday 6PM (CST) to cover the breaking story of Abramoff's guilty plead to three felonies and what his plea bargain means for the GOP (Get out of Prison?). This development has far reaching implications that will define 2006's political climate, so I encourage you to watch both programs. Moreover, this story further illustrates how Coleen's stated commitment to ethical decision-making is needed now more than even in government. It’s a bird, it’s a plane, it’s a comic book about the dangers of playing near or with land mines and given the current US opposition to a land mine ban, we’ll need to print lots more of them. 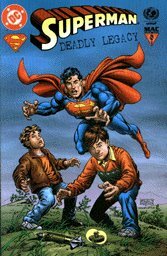 After reading Eyeteeth blog about the US opposition to banning landmines, I went back through my comic book collection…and sure enough, there it was, my 1996 Superman: Deadly Legacy, Bosnia Edition #1, a DC comic published in cooperation with the US Department of Defense and UNICEF. Landmines are very bad news for children as they are closer to the ground and smaller, their injuries from mines are likely to be more substantial than adults. Some land mines such as ‘butterfly’ mines lure children with their attractive, toy like appearance. "I know they look like fun," says Superman as he sweeps up two boys before they can pick up a couple of mines. "But even if they haven't gone off doesn't mean they won't -- at any time!" And they do, with appalling frequency. About 800 people are killed by landmines every month, 40 per cent of them children. "A landmine is a perfect soldier," the UNICEF State of the World's Children 1996 report quotes a Khmer Rouge general as saying. "Ever courageous, never sleeps, never misses." And once laid, an anti-personnel mine can remain active for as long as 50 years. Land mines are shattering the lives of children with more than 115 million unexploded mines buried in the ground around the world. The United Nations says the mines kill and mutilate up to 10,000 children every year. Adding to the peril is the lack of functioning hospitals and other nearby medical treatment facilities. As a result, some land mine injuries that should have been treatable result in fatalities. There’s a 1997 Convention on the Prohibition of the use, stockpiling, production and transfer of Anti-personnel mines and other destruction (1997 Mine Ban Treaty). It has the agreement of 150 different counties including the United Kingdom. Unfortunately, the United States is not one of them. In Bush’s isolationist ‘we don’t need to show any stinking international cooperation and assistance’ mode, the United States has refused to ban these destructive devices. Instead of taking the lead and ending this deadly practice, the United States wish children well by forming school curriculums with plays, puppet shows and songs about the dangers of landmines. Sure do all the above but do it while banning the use of these deadly mines! 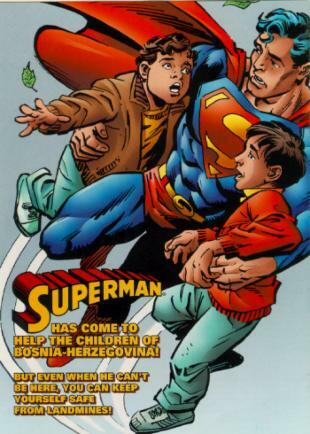 While the rest of the world leads by signing on to a treaty banning land mines, we produce comic books telling them: "They still can be heroes, even without superpowers," the Man of Steel tells a crowd of adults and children in the last frame of the comic book, as he lifts off for adventures unknown. "The only superpower they need is the power of knowledge." If only that were true! If the power of knowledge was so strong - the United States would be leading the charge against the use of land mines instead of standing in the way. We keep treating the symptoms and not the causes. Every 22 minutes of every day there is another victim, a life lost or a life destroyed. Superman would expect more from Americans to protect children and end this deadly practice.